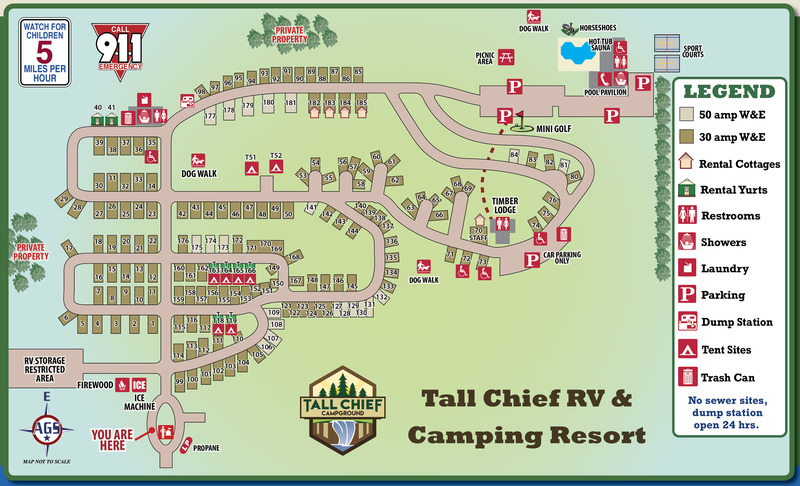 Ask fellow campers about "Tall Chief RV & Camping Resort - Thousand Trails" and nearby attractions. Peaceful with gorgeous tall trees. Each site was pretty private. Site a little unlevel, nice picnic table and fire pit although because of fire danger, unable to use. Pool and spa closed as late in the season. The park help extremely nice. Wish we could have stayed longer. A bit of a drive to get there, but close to Snoqualmie Falls. We had satellite reception. This is a thousand trails park, and we are not members, but were welcomed. We camped at Tall Chief RV & Camping Resort - Thousand Trails in a Motorhome. Very pretty and quiet RV park in the forest. The sites are spacious and provide a feeling of privacy. There is a pool, sauna, hot tub, tennis, putt-putt golf, pool, and more. No Wifi and no sewer connection. Water quality is excellent at 100 ppm. Too many trees for satellite and too far in the woods for local TV reception - no cable. Regardless, a great park. 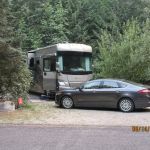 We camped at Tall Chief RV & Camping Resort - Thousand Trails in a Motorhome. Very convenient to Seattle. There is a nice casino nearby. There is a beautiful waterfall in fall city. Unfortunately Fall City is home to some serious drug users. Your propery is not safe in your car. We witnessed police responding to a fight and a car breakin. Fortunately, this problem does not appear to extend to Tall Chief. Have been at this park several times over the years as we have family in the Seattle area. We were directed to a site that supposedly we could get satellite - finally didn't, but was very difficult. The water faucet was leaking and then the heat came and we noticed that the voltage was dropping too low for our air conditioner to work properly. Moved to site 101 and everything was fine. Bathrooms were undergoing some type of work, but since we were staying just a week I didn't worry about it. We can easily go more than a week without dumping. We camped at Tall Chief RV & Camping Resort - Thousand Trails in a Motorhome. No sewer hookups, knew that going in. But it means you have to use their showers. Only 1 facility open before 9AM, was busy one day so had to wait for a shower. Dirty. Didn't get very hot. Worst issue is that there is little to no privacy. Showers are in public bathroom style stalls where you get to see the hairy legs of the guy next to you. Don't bend over or you might see too much. One day had a 6'4" tall guy in the shower next to me and he could easily see over the partition. Hi buddy. Don't show up your first night past 'curfew' (8PM non-peak, 10PM peak) or you will have to park outside of the gate overnight as nobody will let you in. Once I realized this, I had to drive 8 hours non-stop to try to make it in on time. Yes it says this in the email, but i've never experienced this before and really didn't think about it. At $50 a night I expect full hook ups. Also no wifi except in the building. Dirt roads, dirty and muddy, broken picnic table and broken 'fire pit'. Absolutely will not come back to this place. 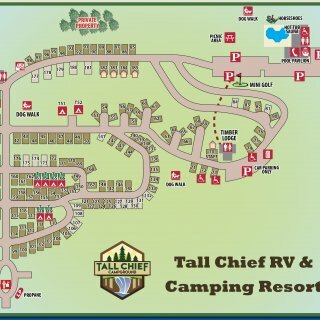 We camped at Tall Chief RV & Camping Resort - Thousand Trails in a Motorhome. What others have said about the park is true. It is big, wooded and the sites are level (for the most part). It's dusty, the Wi-Fi works good in the clubhouse, pool and bathhouse are excellent. For the price, it should have both cable and sewer. I have 24' MH and had no problem with the A/C. All that said, you pick your own site and report it to the ranger. What isn't said is that, unless you mark the site some way (orange cone, chairs blocking the site, etc. ), it is fair game for new people checking in. I lost sites twice. Gentleman at the ranger's station was very helpful in completing my stay. I loved the seclusion that the wide, brushed areas between sites provided. One thing not mentioned, is the distance (10 miles to Redmond) + the mileage to other area activities. Takes a while and there is no Metro transportation facility until you get to Redmond. All in all, I liked it. 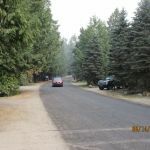 We camped at Tall Chief RV & Camping Resort - Thousand Trails in a Motorhome. This was our first time using the Thousand Trails/Encore pass we got for free, when we purchased our motor home. Although the park was pretty, I was not impressed. You have to drive around to find your own site, then report back to them, on which site you took. This was a large campground. 30 amp only, we couldn't even run 1 A/C unit for the heat, kept blowing their circuit breaker. No sewer hookup. No wifi, no cable. Attendants checking you in are friendly, but rushed, as there was a steady stream of campers coming in. I saw other comments on this park, and if you have to pay that much for this park, it is way too much. However, to be fair, everything in the area is overpriced! All sites are back-in only. Lots and lots of trees. Pretty. Dirt site, turned muddy after rain. Lots of pot holes on the interior roads, which are not paved. Again, not impressed and would not stay here again. We camped at Tall Chief RV & Camping Resort - Thousand Trails in a Motorhome. Great place to visit with children or adults only. Pool was wonderful; there is a playground and also miniature golf to enjoy. A little difficult to get Directv because of number of trees but we were successful in getting a signal. Sites are spacious and level. Since we were there mid week there were a number of empty sites. We had a long site with lots of shade and privacy. We camped at Tall Chief RV & Camping Resort - Thousand Trails in a Motorhome. We stayed here because of our rate (Coast-To-Coast), proximity to Seattle and we couldn't extend our stay is Issaquah. It worked for the few nights we were there. It's bit of an odd place. I had to page someone from the front gate to get checked in. then we had to find our own site and report it back to the front gate (after we set up). All the roads are gravel/dirt. It hadn't rained in ages so it was dusty. One of the workers stopped by he was very friendly. The front gate folks were a bit standoff-ish; it's just an odd place to check into. Even a member had to park their car and walk to the front check in gate to get a pass. We'd probably stay again if we needed to. The spaces are roomy and it's a quiet place. 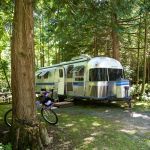 We camped at Tall Chief RV & Camping Resort - Thousand Trails in a Motorhome. Stayed for better part of 1 month at this park. Setting is nice & quiet, lots of trees between sites, very spacious overall. Pool area is great, my kids loved it. Used this as a base for commuting to work in Seattle area, and traffic proved to be quite a challenge as you have significant congestion in getting out to the Seattle Bellevue area from this park. Also, this park seems to be intermittently staffed, so most contact with management seems to be via returning messages as there is no office, email address, or Facebook account. There are also no sewer sites at this park. Lastly, there are a few 50amp sites, but ours proved to be problematic and we had to bump down to 30amp. Not a huge deal during the mild June in the Seattle area. We camped at Tall Chief RV & Camping Resort - Thousand Trails in a Motorhome. Check out Snoqualmie Falls, all the hiking along the nearby I90 corridor and in winter- skiing at Snoqualmie Pass. Love this area! Rate reflects RPI membership. We stay here every year for a week while visiting Seattle. This is one of our favorite parks. It is very quiet on the weekdays. Satellite can be iffy, but can be found with patience and a portable dish. Our site only had 30 amp service. There are a few 50 amp sites, but they have always been taken by long term occupants. The pool and hot tub are very nice, but very noisy and crowded on the weekends. There are no sewer sites, and the access to the sewer dump is tough because you have to turn around to get to the proper side. The sewer dump has many pot holes, mud, and disgusting green algae. We camped at Tall Chief RV & Camping Resort - Thousand Trails in a Motorhome. Large sites. If you want satellite TV make sure you park on the west side of each street. Need a tripod in order to shoot between the streets to get the satellite. 30 amp & water. Dump on site and honey wagon available. Nice pool. Very quiet at night. Sparsely populated during the week. One of the few places available to stay around the Seattle area, works for us as being near family and we use memberships for stays. 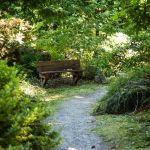 Everything you could need is in Issaquah, just a short drive away. 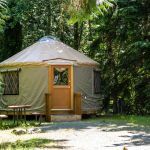 We camped at Tall Chief RV & Camping Resort - Thousand Trails in a Motorhome. We only stayed here two nights while we were visiting friends who were staying here. Dusty, dry sites carved out of trees. Narrow, uneven. We would not stay here by choice. We camped at Tall Chief RV & Camping Resort - Thousand Trails in a Motorhome. This is a tough call. I don't think this park is horribly overpriced for the area, but for just water and 30 amp electric it seemed just a bit high. We were receiving the benefit of a fairly good discount as we were staying there as part of an FMCA group pre and post cruise to Alaska. The sites are mostly level, but very, very few have the ability to access satellite because of the tree cover. There is no cable available, no park wi-fi, and we were not able to access any over the air channels. Verizon wi-fi is flaky, even with a booster. Only certain of the sites have 50 amp electric, and these are mainly sites that are "owned" by folks who were members under the previous administration. Many have ropes across the entrances and name placards proclaiming them "Seasonal site of the Jones' Family", et cetera. The pool looked nice, the recreation facility and club house was well maintained, and the laundry is adequate. It could be lovely for a few days, but it is not a place I would find acceptable for a long term with no TV and no full hookups. A sewer service is available for extra cost, and there is a dump station, but ... really? Interior roads are well travelled, but so dusty that the residents keep hosing them down to keep their rigs cleaner. Fall City is a nice town, and there is fairly easy access to Seattle for sightseeing. We camped at Tall Chief RV & Camping Resort - Thousand Trails in a Motorhome. There no close services with most services being a couple miles away. Pretty close to Seattle and the best of the choices that I could find that would fit a 30+ foot rig. We drove to the Pike Place Market in Seattle. It was really cool. The early afternoon drive there took 37 minutes, but we got caught in rush hour traffic on the way back and our return took around an hour. Not much in Fall City. A deli, casino, a few shops. Drive to Snoqualmie (route 202 east) for the Snoqualmie Falls and local groceries, restaurants, diesel at $2.759, a landromat and a hardware store. Also, a railroad museum and 2 hour, scenic railway excursion ($18/person). The cycling on the roads heading towards Fall City offered adequate bike lanes and run along the river and right into town. Good eats and coffee as well as a few local fruit and vegetable stands. Don't miss seeing Snoqualmie Falls: and it's dog friendly! Be sure to eat at the lodge/resort near the Falls. Redmond and Fall City are nearby, Carnation, Duvall, North Bend and Snoqualmie and Snoqualmie Falls are all nearby. Good shopping, fishing (in season) nearby. Bring an overflow gray/black water tank or plan to move your rig when the tanks are full. There is a pump truck that comes by regularly. Close to Fall City, lots of shopping / restaurants on the Sammamish Plateau. Good Verizon / AT&T signals. 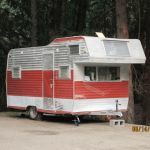 Are you affiliated with Tall Chief RV & Camping Resort - Thousand Trails ?